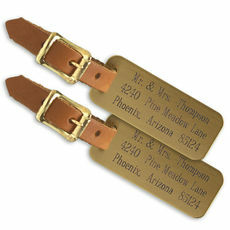 Viewing 24 of 266 items. 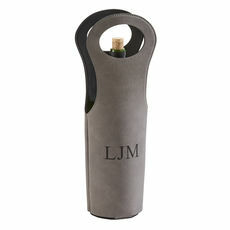 Present your next bottle of wine in style with our personalized grey colored leatherette wine holder. 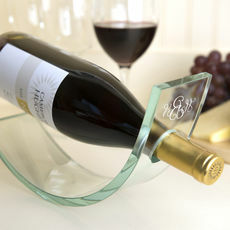 This holder is 14.5" H. Your choice of personalization style. 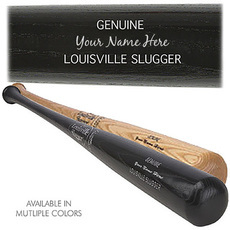 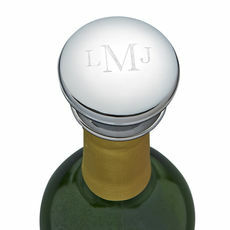 Your engraved personalization..
Personalized engraved gifts make a memorable gift that will be impressive, affordable, and appreciated by your recipient. 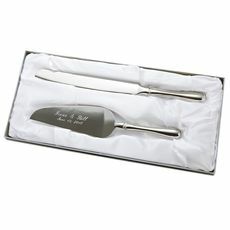 It's easy to create the best impression when you give a custom-engraved present for a special occasion. 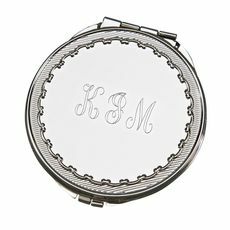 For those milestone celebrations such as weddings, bridal showers, retirements, or new baby gifts, order a personalized engraved gift and you can rest assured that your gift will be well loved for years to come. 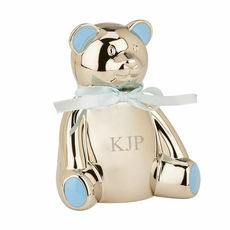 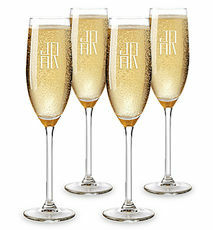 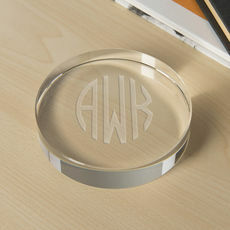 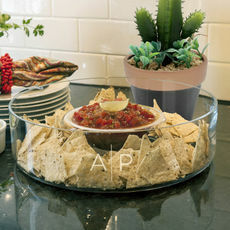 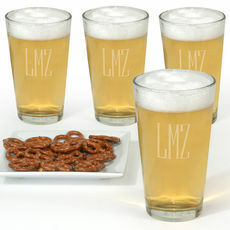 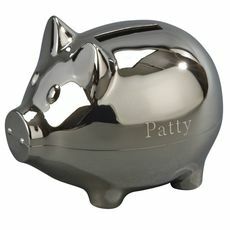 We offer a wide selection of custom engraved presents for all occasions. 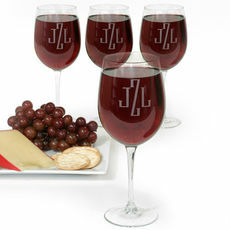 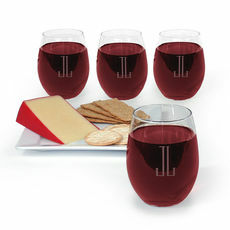 Some of our most popular selections include deeply etched sets of wine glasses, beer glasses, martini glasses, plus wine carafes, serving platters and wine stoppers. 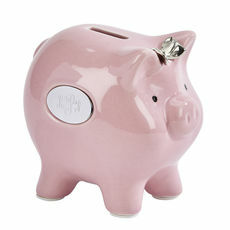 For the younger set there are engraved piggy banks, train banks, sippy cups, feeding spoons, and deeply etched crystal Christmas ornaments. 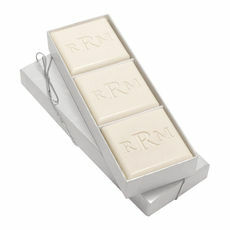 These make for very special gifts. 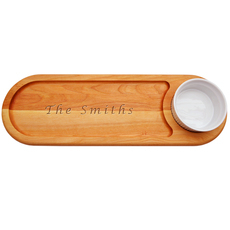 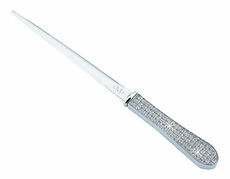 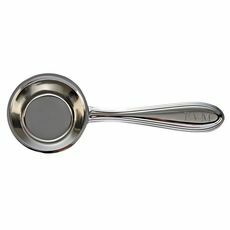 Other popular items include engraved money clips, gorgeous sets of high quality hand-poured engraved soaps, knife sets and carving sets in their own monogrammed boxes, plus really beautiful premium personalized wooden cutting boards offered in many sizes and shapes and made in the USA. 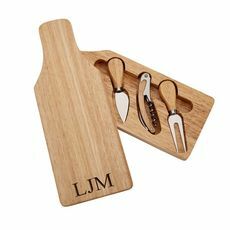 If you are looking for a standout holiday gift, a thank you present to a board member or boss, or a keepsake present for 50th birthday or anniversary, you can be sure that your gift will be created with care and expertly engraved by our experienced craftsmen. 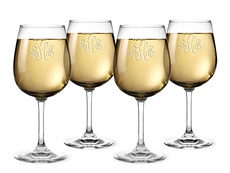 We offer a beautiful selection so you can easily find just the perfect item for the occasion.